It's that time of year again! The Hong Kong waterfront is bursting with life, colour and jubilant crowds. With its origins dating back centuries, Tuen Ng Festival has become truly ingrained in Hong Kong summer culture. So what better way to celebrate a wonderful weekend than by adding some zest to your home? 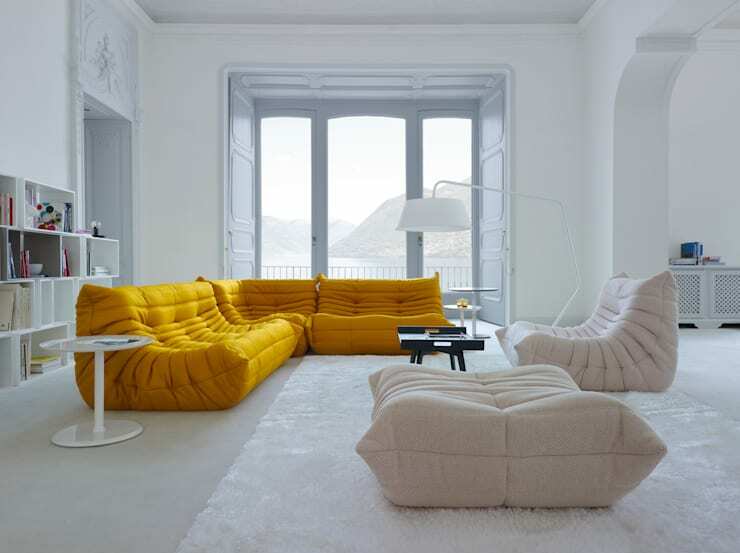 Here we've collated our favourite easy ways to introduce colour to your abode, from the subtle to the wildly bold. 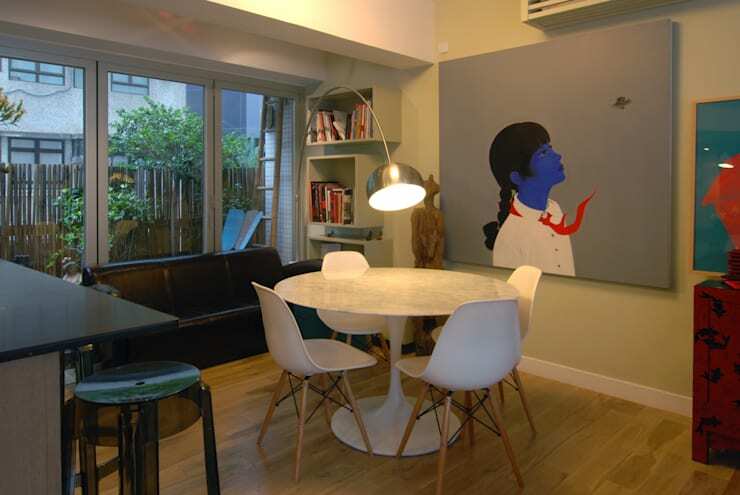 So round up your friends, grab some Zongzi and get inspired to paint the town—and your home—red! Or any other colour you like, of course… Enjoy! 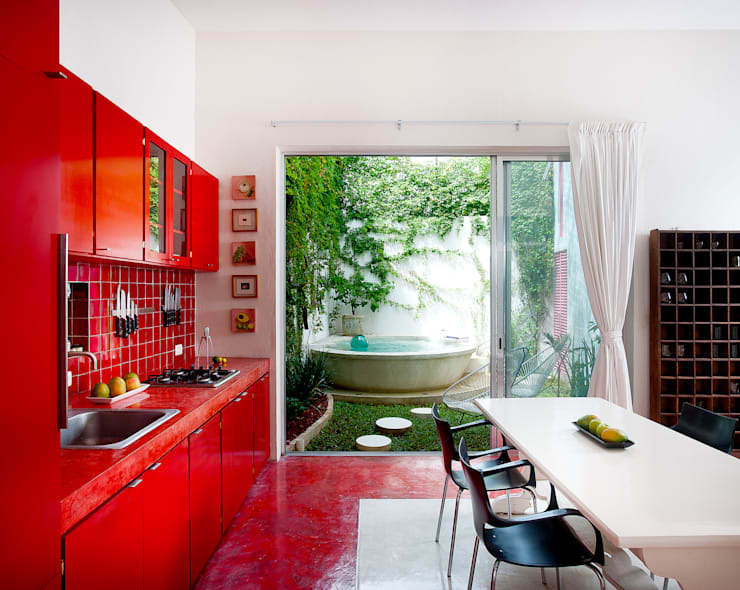 If you're not the kind of person who does things by halves, take your cue from this delightfully bold kitchen. Teamed with white walls and chic, understated furniture, these scarlet fittings are utterly dazzling. The look is beautifully completed by the turquoise pool and lush greenery outside. 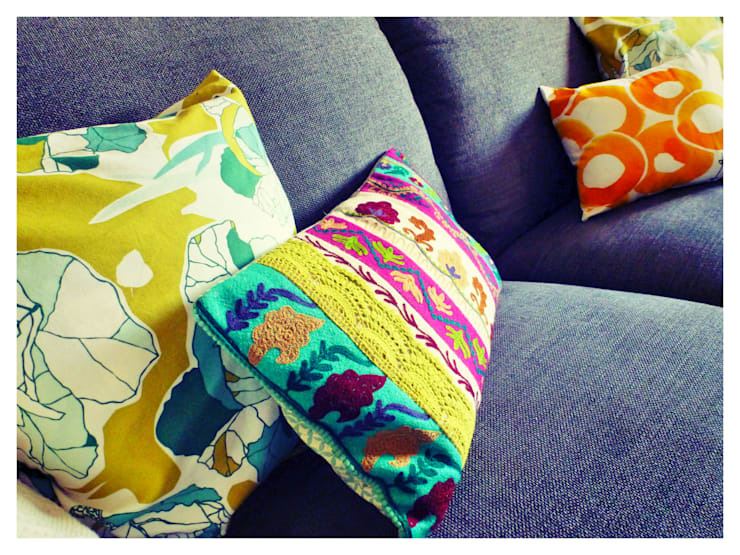 For a more subtle impact, simply add some colourful cushions or upholstery to your living room. As cushions are relatively small and removable, you have the freedom to experiment with some daring designs. They're a great way to add your favourite colour in small doses. If you want to keep the majority of your decor minimal and understated, the perfect way to introduce some complementary vibrancy is with a piece of wall art. This beautiful Hong Kong interior is a perfect example, with the vivid primary hues of the portrait standing out against the pastel wall. Another wonderful way to add some brightness is with a plant or two. These magical things not only impart freshness and colour to your home, they also act as natural air filters. Place them in a colourful pot or planter to maximise their visual impact. For those who enjoy an understated splash of colour in an otherwise traditional interior, why not add some simple new fittings to your furniture? 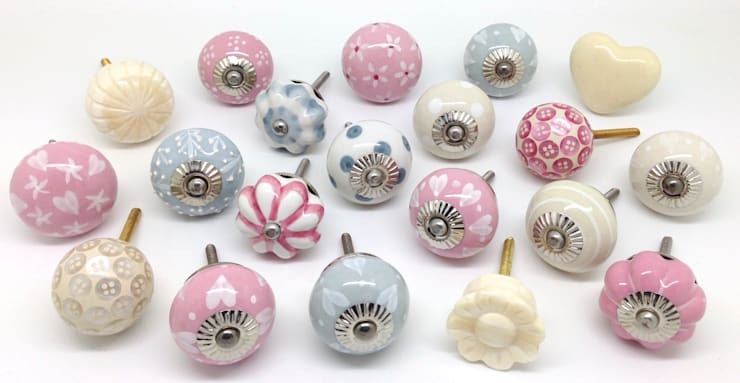 They won't dominate your decor scheme but will liven up tired cabinets, cupboards or doors. Stepping outside the box for a second, you could even try coloured lighting as a way to brighten up your home. 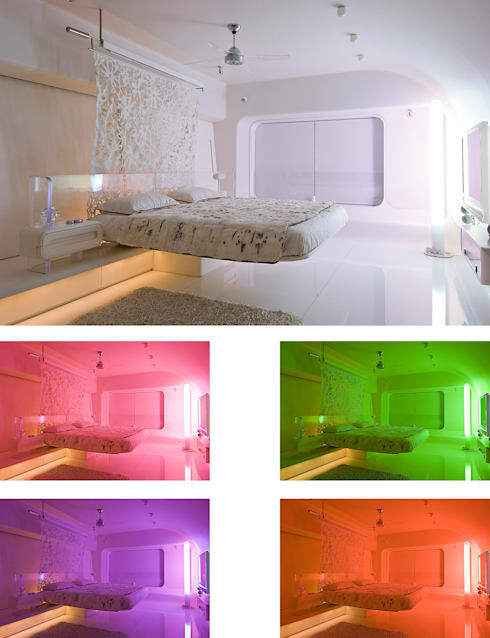 The major advantage of this approach is that the chosen hue can be switched on or off to suit your mood! As we all know, colour has a huge impact on our experience of the world, and it could be really fun to explore this in a domestic setting. If you've seen a bold wallpaper design you like but are reluctant to cover the whole room, opt for a stylish feature wall as seen in this chic example. It's the perfect way to showcase your aesthetic flair without overwhelming the interior. If you're feeling extra creative you could even paint it yourself, or seek the help of a professional decorator. Lastly, and for a truly dramatic effect, team a subtle backdrop with a dazzlingly vibrant burst of colour. Whether it's a sofa, chair, table or accessory, your room will spring to life with a confident style statement. Contrast rich jewel colours with a simple off-white theme, as seen in this dreamy abode. 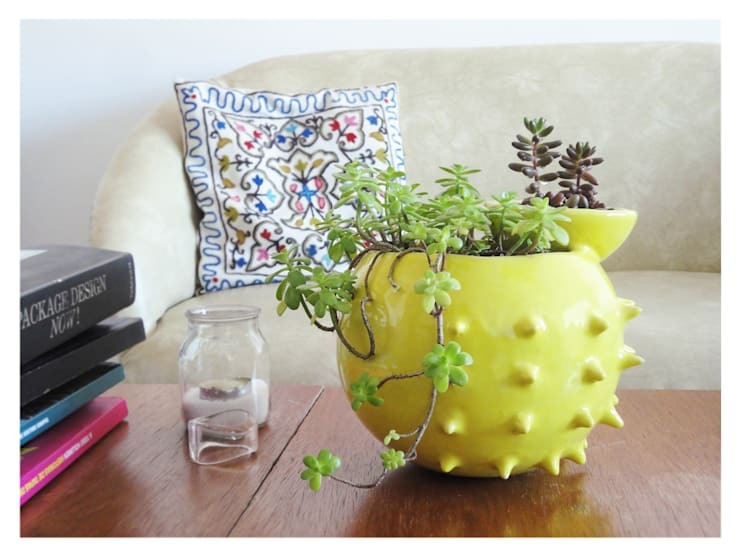 So there we have it; 8 simple ways to add colour to your home! If you're not too tired from the weekend's revelry, get thinking about how to brighten your home and keep that festival glow all year round. For more vivid inspiration, don't miss these 5 Spectacular Homes of Colour and Creativity. They're utterly incredible! Are you excited for this year's Dragon Boat Festival? Do you have any colourful interior tips for our readers? Let us know!